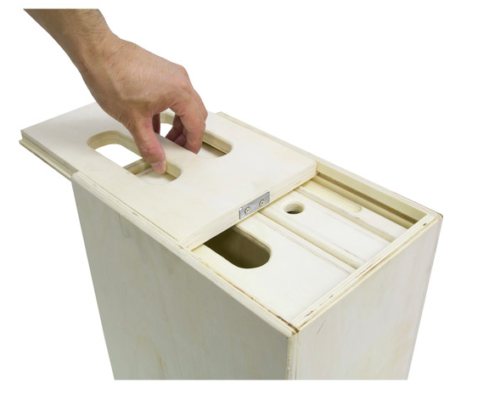 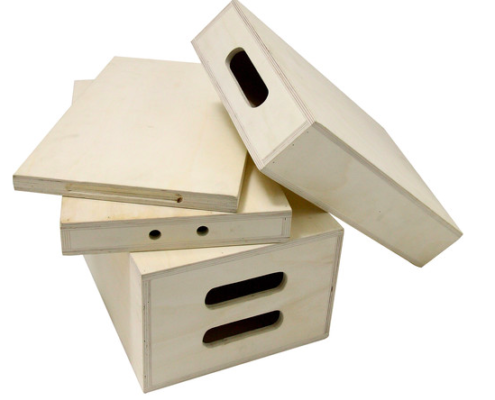 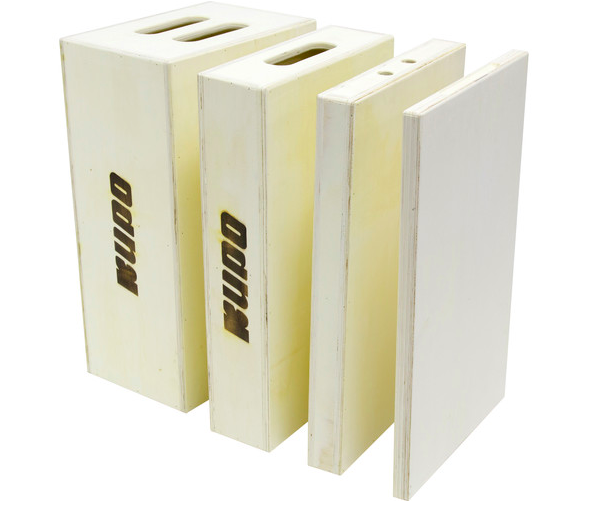 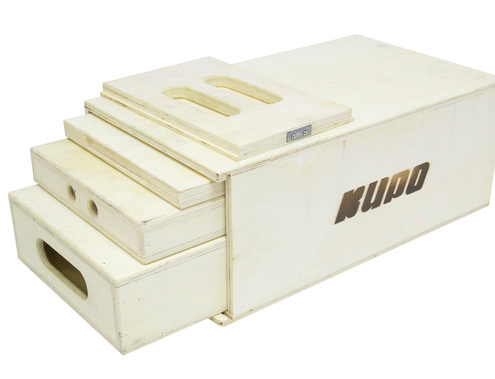 The 4-In-1 Nesting Apple Box Set from Kupo includes full-, half-, quarter-, and pancake-sized apple boxes, all made of a strong 9-ply Baltic birch wood. 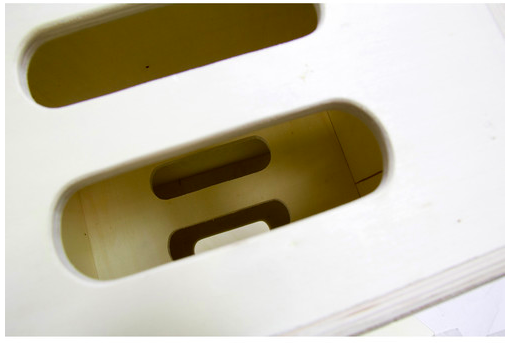 The three smaller sizes in the set store inside the full-sized apple box via a sliding side panel that secures in place by two magnets. 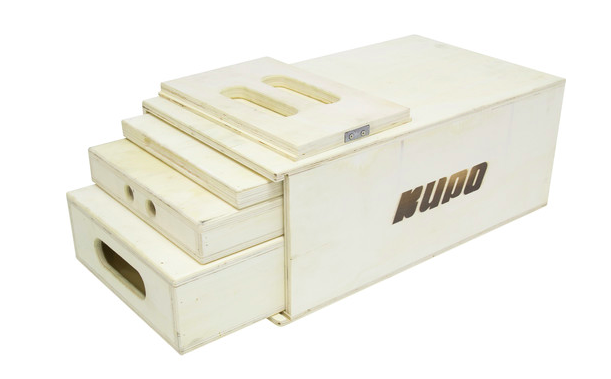 The boxes have multiple applications in the studio or on location, so the set can be used to level out an uneven light stand, add height to an otherwise short model, or even serve as a bench or stool.